That is the focus of Cleanline® brand products. Cleanline® also stands for quality, which TMS stands behind. Everything we sell promises to come with great customer service to a great experience to installing products in the field. Our Cleanline brand is the preeminent waste receptacle supplier on the market today. 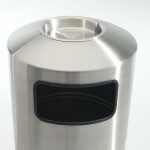 As opposed to traditional trash cans, Cleanline receptacles are combined with strength, corrosion resistance, and durability.Our thick gauge stainless steel finish infuses the Cleanline with both strong durability and quality aesthetics. 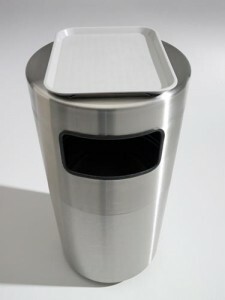 Each trash can has a 14 gauge recessed base, 18 gauge bag stabilizers that keep bags in place and out of public view, and a brushed exterior that lends luster to the stainless steel finish. All of Cleanline’s products are scratch-resistant, durable and stable, the necessary features required in a waste receptacle in order to make them durable both indoors and outdoors. Cleanline waste receptacles are excellent for airports, casinos, convention centers, government buildings, hotels, libraries. office buildings, stadiums and stations. Cleanline receptacles are offered in 20 to 39 gallon size containers, with waste and recycling label options. 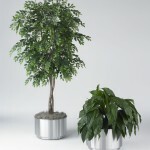 We also offer a fine selection of styles that come with our 39 gallon receptacle option to fit your needs. Choose from one of our top load, side load, ashtray top and tray top receptacles. Our stock items typically ship in 1 to 2 days with UPS and freight shipping available.